Apples and gemstones and bears. Oh my! Gems, apples, and bears would seem unrelated—unless you find yourself in Hendersonville, North Carolina. 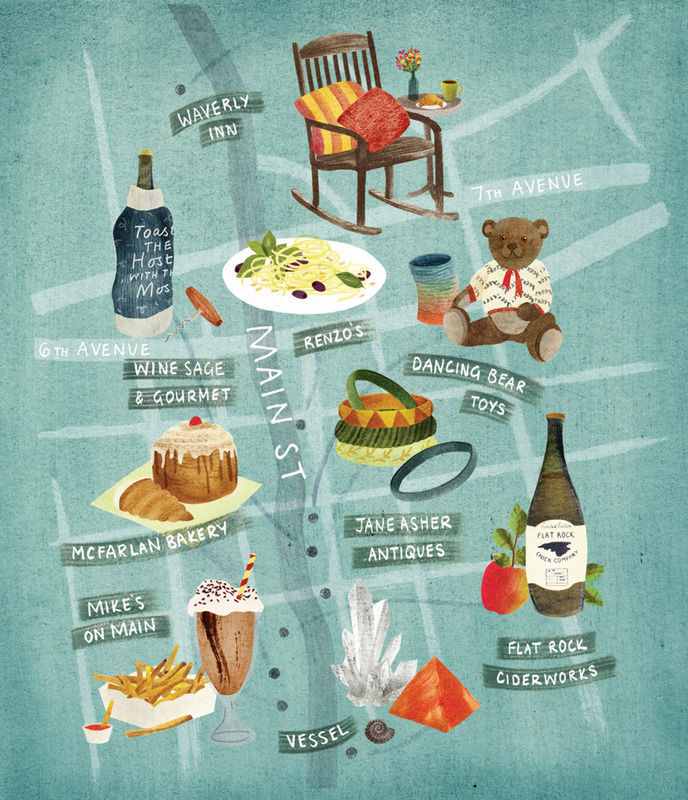 The three are woven into the town’s history and winked at all along Main Street. In the late nineteenth century, Henderson County was a mining center for platinum and semi-precious stones, and in the 1920s, apples were the cash crop. Bears, meanwhile, have long been plentiful in these parts, providing meat, oil, and pelts during cold winters—and terrible scares during unannounced visits. Wander serpentine Main Street, and you’ll quickly spot the trio’s legacy. A hushed boutique sells gemstones by the hundreds. A boisterous cidery presses its fizzy drink from local apples. A popular toy store, packed to the gills, is named for a happy-go-lucky bear. You’ll also notice other Hendersonville mainstays: historic buildings (including the 1905 gold-domed courthouse), giant Coca-Cola murals from the 1930s, and friendly locals for whom Main Street is the hub of social life. Order a grilled pimento-cheese sandwich and a colossal fry basket from soda jerks wearing paper hats and white aprons at this Main Street fixture, in business since 1882. Sip a chocolate malt on a spinning counter stool, or grab a booth beneath shelves of vintage apothecary bottles (this used to be a drugstore). From the Rock-Ola jukebox to the tinkling bell signaling an order pickup, Mike’s hearkens back to the good ol’ days. 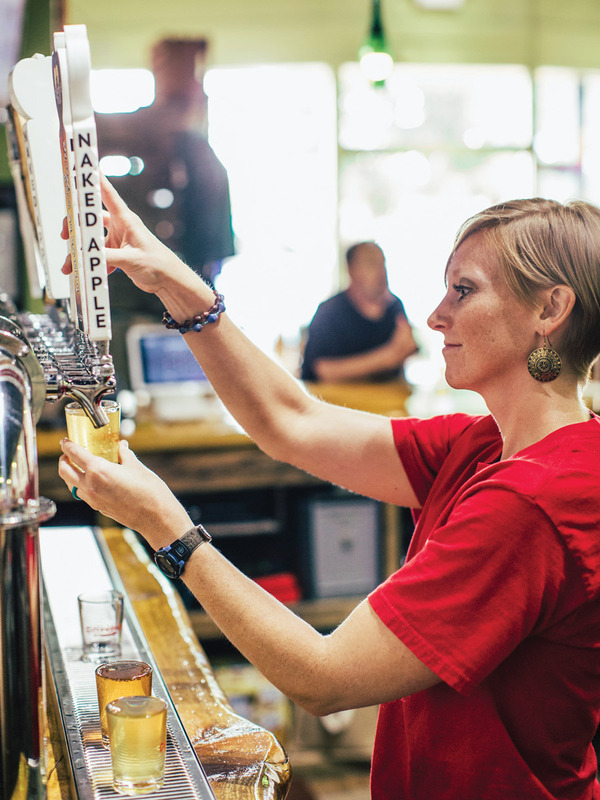 Two Hendersonville natives and apple growers opened this hard-cider tasting room in an 1880s building with soaring ceilings and light fixtures made out of cider bottles. The flagship apple cider, Wicked Peel, is served well-chilled in a pint glass, but seasonal varieties flavored with blackberry, strawberry, and pomegranate also tempt. 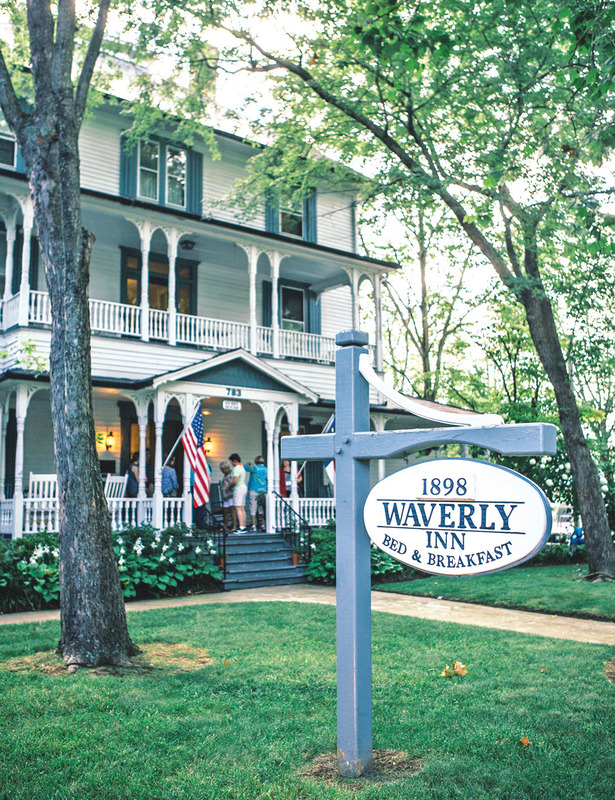 On the National Register of Historic Places, this three-story bed-and-breakfast bordered by lush hostas has been in continuous operation since 1898. Enjoy a made-to-order breakfast in the bay-windowed dining room, piece together a puzzle in the comfy den, or simply relax on a porch rocker. Guest rooms are named for the town’s native plant species; some have four-poster beds and claw-foot tubs. As retro as ant farms and as modern as emoji bracelets, this toy emporium is filled with nooks and crannies just begging for exploration. Pick up stocking-stuffer Slinkys or placemats that teach toddlers to tell time, and don’t leave before checking out the large selection of do-it-yourself activities, such as terrarium kits and fairy-garden growing guides. Here’s that lace collar or Quimper plate or Bakelite bracelet you’ve been searching for. Crystal prisms in a velvet-lined box beg to be touched, as do sets of old tools, or an abacus. 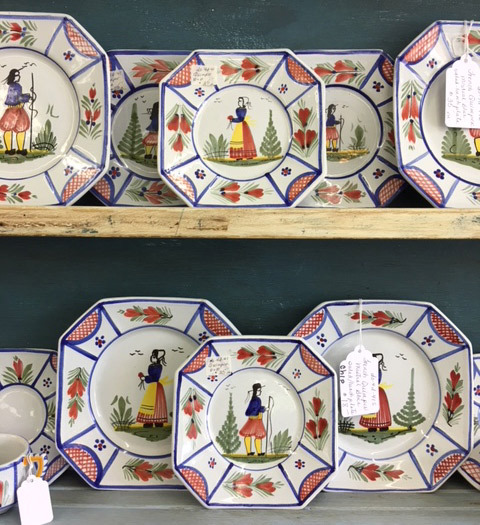 Well-lit and beautifully displayed, the antiques in this tasteful shop are too plentiful to examine fully in one visit—but you can try. From geodes to jasper, fluorite to fool’s gold, the wares at Vessel are as intriguing as nature itself. Himalayan pink salt lamps cast a warm glow over displays of petrified wood, fossils, lapis, and malachite fashioned into sinks, coffee tables, and earrings. The owners of this boozy boutique have a combined forty years of wine-industry experience, making their shop an oenophile’s dream. Wander the rows, perusing their handwritten descriptions of each bottle, and be sure to buy a hand-knit wine sweater to warm your selection. Downstairs, a cozy, contained cellar holds four tables flanked by walls of wine for complimentary tastings, cooking classes, and monthly gourmet dinners. Cream horns too large to hold with one hand aren’t the only sweet treats in this long galley of a bakery. Since 1930, McFarlan’s has been baking peach pies, apple fritters, and pudding-cake cookies with buttercream icing from scratch. Go for the perennial bestseller: the old-fashioned cinnamon buns. 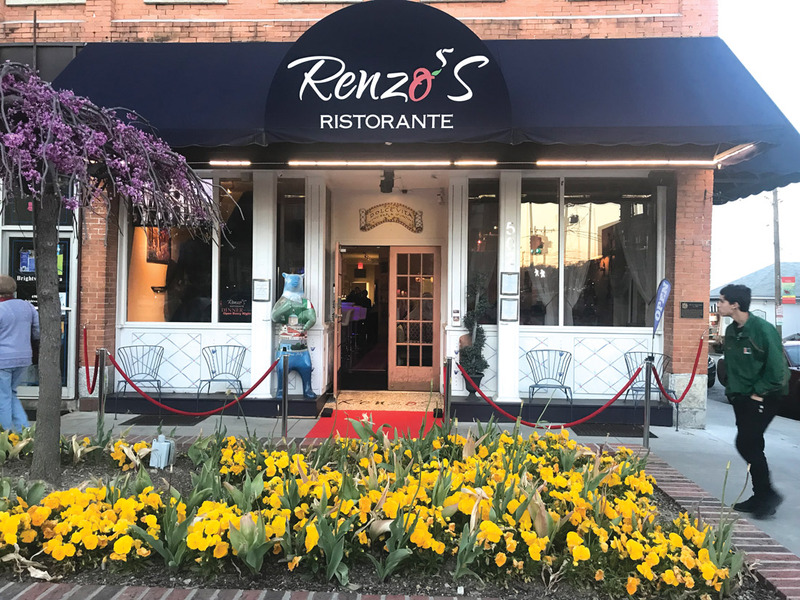 Follow the red carpet to enter this authentic Italian restaurant, where you’ll dine on classic dishes incorporating salty chunks of pancetta and eggy pasta imported from Italy. The intimate, all-white bar is reason enough for a visit, but deep-pink velvet upholstery, a continuously looped video of Italian sights and cities, and an attentive waitstaff make the experience truly bellissimo.